Samsung, India’s biggest and most trusted consumer electronics and mobile phones brand, is bringing Samsung Carnival to Flipkart, giving instant discount, exciting exchange offers and no-cost EMI schemes on select products from April 10 to April 12, 2018. Consumers buying Galaxy On Nxt 64GB during Samsung Carnival on Flipkart will get the smartphone at Rs 11,900 after flat Rs 1,000 off. Galaxy On Max, which excels in low-light photography, will be available at Rs 12,900 after flat Rs 2,000 off. Galaxy On Nxt 16GB can be bought for an exciting price of Rs 9,490. Galaxy On5 and Galaxy J3 Pro will be up for grabs at Rs 5,990 and Rs 6,990 respectively during the Samsung Carnival on Flipkart. There are exciting offers on consumer durables too. Samsung’s 49" M6300 Full HD Curved SMART TV will be available at a special price of INR 66,900. This season, customers can look forward to a cooler summer as the carnival brings attractive offers on refrigerators as well. Samsung’s 253L 2 Star Frost-Free Refrigerator and Top Mount Freezer with Convertible 5-in-1 will be available at a special price of Rs 23,790 and Rs 36,090 respectively. Adding to this summer bonanza, customers can avail instant discount, no-cost EMI and exciting exchange offers on select products. “We are happy to announce Samsung Carnival on Flipkart with attractive offers. 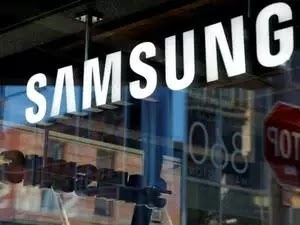 During the Carnival, we will have instant discount, exciting exchange offers and attractive no cost EMI on select products that will allow consumers to purchase and enjoy their favourite Samsung products,” Sandeep Singh Arora, Vice President, Online Business, Samsung India, said. "Flipkart has always stood for customer centricity and ensuring maximum value for every purchase made. Samsung Carnival, between 10-12 April, is Flipkart’s yet another way of offering great products at some of the most affordable prices" Ayyappan Rajagopal, Senior Director, Flipkart, said. Best exchange value: Customers can exchange their existing prodcuts and get great value for their old device. No Cost EMI: No cost EMI financing schemes available on select products with select Credit/Debit cards.